This is the first trilobite I have posted in this blog and for that I apologize to any trilobite fans out there. For those of you who have not heard of trilobites, they were a group of aquatic arthropods which exploded in diversity during the Canbrian. They are the most common type of fossile we find from that era. They slowly went extinct as time went on before they were finally finished off bu the Permian extinction. 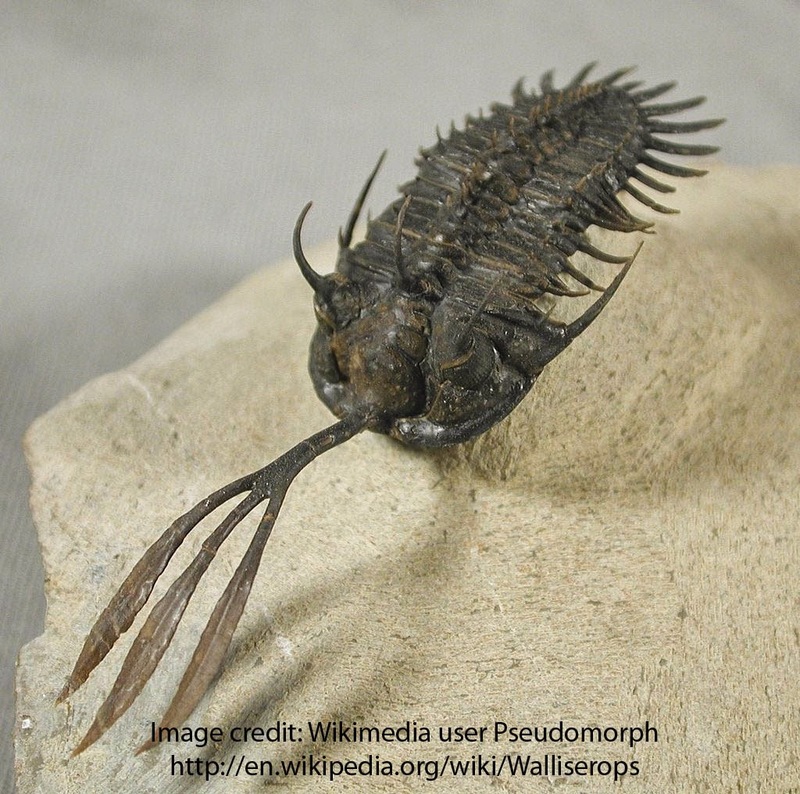 Walliserops is a genus of strange looking trilobite which have all been described recently (since 2001). 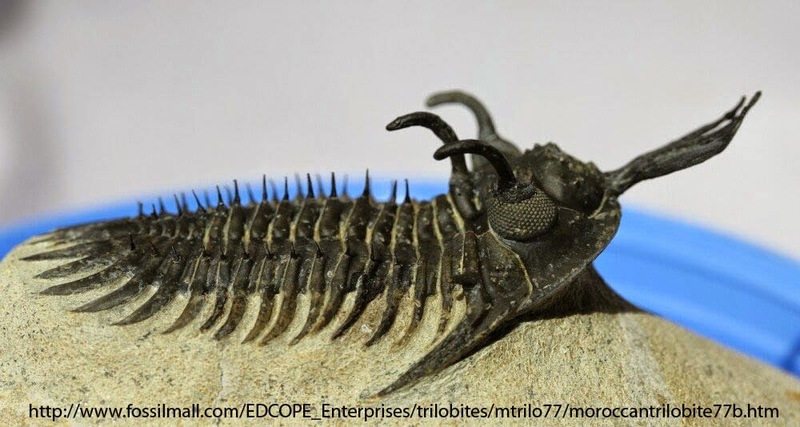 As you may have noticed this trilobite has a sort of trident hanging off the front of their head. This structure looks a little like something which wpuld be carried by Poseidon, the Greek god of the ocean. No one is exactly sure what this structure was for, although there are several theories. They also have three long curved dorsal spines and several small lateral spines. All known specimens come from Southern Morocco and are lower to middle Devonian in age. There are three recognised species in the genus Walliserops.